DNB CET Admit Card 2019: Candidates who are interested to take admission into MD/DNB/MS super specialty courses will have to give DNB CET 2019 entrance test. 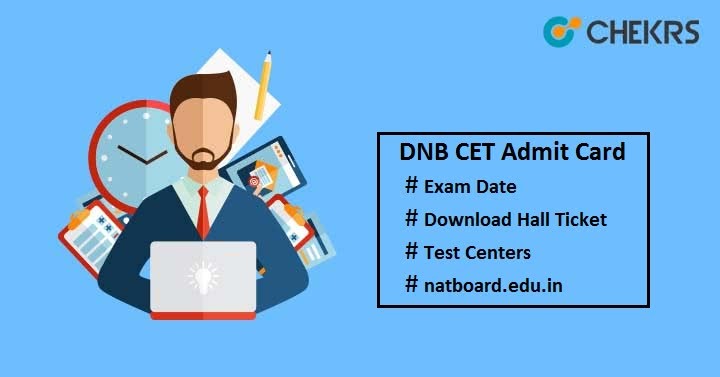 Latest Update: DNB CET Dec 2018 Admit Card Is Available Now. Check the Link to download yours. DNB (Diploma of the National Board) is the postgraduate degree certified by the National Board of Examination (NBE). To appear in the entrance test, it is mandatory to produce the DNB CET Hall Ticket to the examination center on exam day. The hall ticket will be issued by NBE authority to those candidates who will submit their application in a successful manner. It will be made available through online mode only. Here we have shared detailed information related to how to download admit card, admit card release date, exam date etc. Candidates must follow the given steps in order to access your admit card from the official portal of NBE. A new page will appear. Go to the Important Announcement option. Enter the login details and then submit it. The admit card will appear on the screen, download it. Take the print out of it for further use. Candidates should examine all the information printed over the Admit Card. Details must be correct otherwise you will be not allowed to appear in the test. In case of any discrepancies, must report to the examination authorities. Affix your passport size photograph at the space given on the admit card. You should arrive to the examination center 1 hour before the commencement of exam. Candidates required to bring admit card along with other important documents like valid identity proof (Voter ID/Passport/Aadhar Card/ PAN Card/Driving License) and photocopy of MCI Registered document. For more details and query, drop your question in the comment section below. We will help you for sure. All the Best!! !